One of the recipes I most often get asked to teach is how to make your own pizza dough. 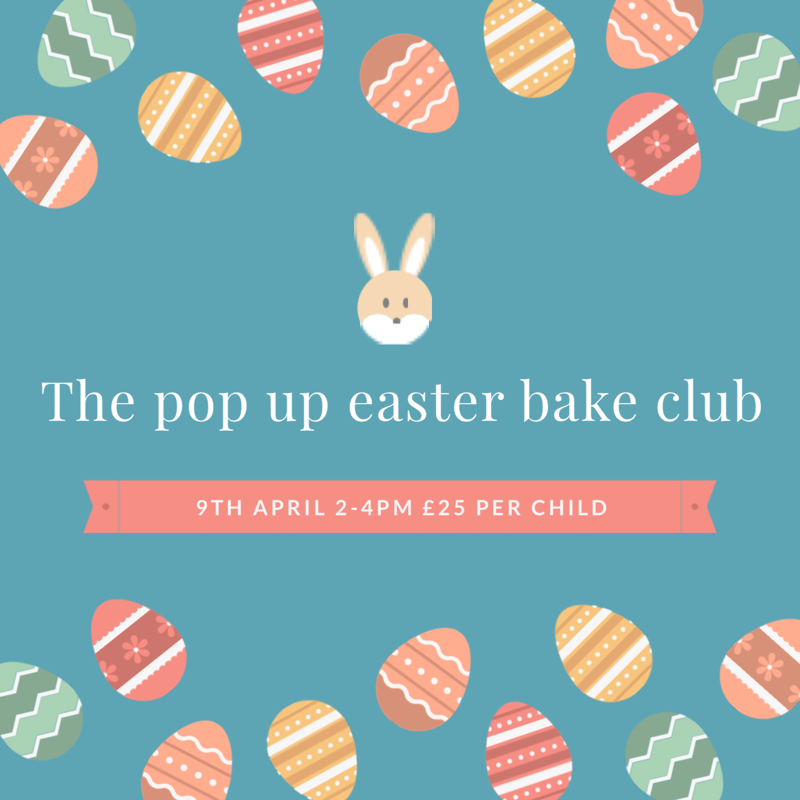 I love showing people how easy it is to make and have taught both children and adults alike how to knead, roll, shape and top their own pizzas including my own children and their friends. 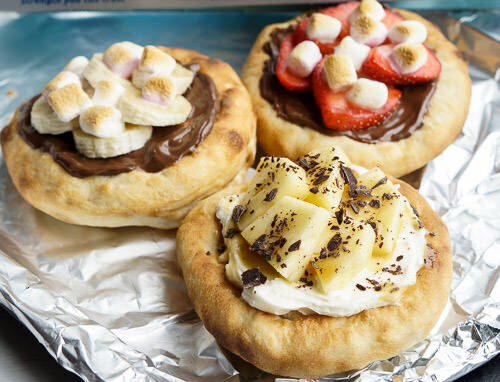 If you asked me if I have ever made mini sweet dessert pizzas before I would have said “NO WAY”. But, that is before I actually tried them. I made the assumption that this was just another faddy American influenced creation and that I would not be jumping on that bandwagon. 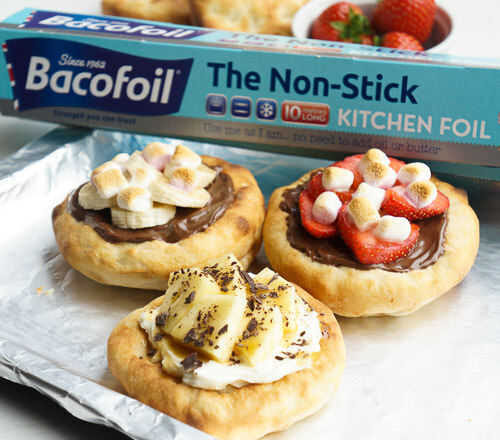 This week however, proved to be a revelation in terms of mini sweet dessert pizzas because the people at Bacofoil challenged me to recreate their very own recipe for these sweet pizza delights. The recipe (featured here) consists of a regular pizza dough, one which I have made countless times, topped with a selection of sweet accompaniments. The interesting thing about this recipe is that the pizza base gets grilled (a few minutes each side) as opposed to baked and this actually works very well. The toppings are added after the bases have been grilled – so easy! 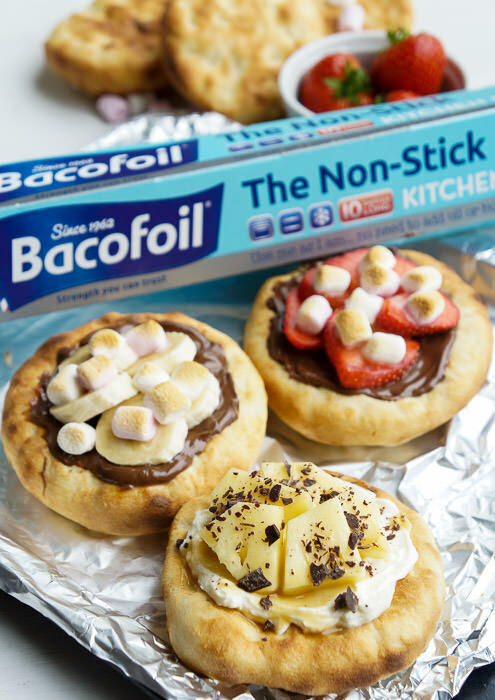 Bacofoil sent me their Non-Stick foil to try out for this recipe as well as for anything else I chose to road test it on. This no-stick foil is something I had already tried out for myself as I do so much roasting for my supper clubs. It works much in the same way as baking parchment but is more sturdy and can be used more than once if you are batch cooking roasted veggies, potatoes, onions etc. I hate washing up after a big cooking job so I just use this and it saves me so much time and water. 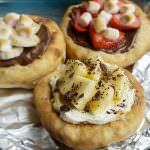 Add a little sweetness to your next pizza night by creating your own mini dessert pizzas! A fun recipe for the whole family, the individual dough bases mean you’ll never have to fight over your favourite toppings again. 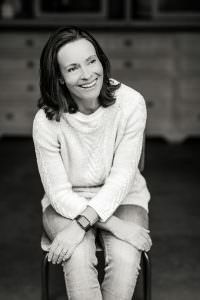 Alternatively mix the flour and salt in a large bowl, while mixing the yeast, sugar and oil in a separate bowl or jug, and gradually whisk in the water to the latter. Pour the yeast mixture into the bowl containing the flour and mix to form a dough - this is easiest to do with your hands. 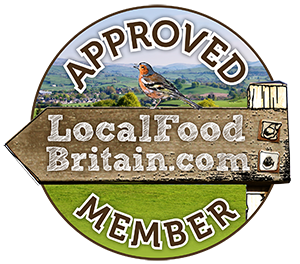 Line the grill tray with a large piece of Bacofoil Non-Stick foil – remember to always use the dull side - and place two to three pieces of dough onto the foil. Grill until only just starting to brown very slightly, then carefully turn over with a clean cloth and lightly cook the other side (take care as steam may escape). Feel free to swap the toppings to suit your tastes. You could swap mascarpone to cream cheese, caramel sauce to honey and pineapple to mango. The grilled marshmallows are a must! I’m glad you’ve discovered sweet pizzas they are good. I had my first at a breadmaking course ‘Bread in Fife’ where Colin made us some fresh apple pizzas he made for us to enjoy at lunchtime. They were simple but delicious. We also learned how to make dough. That foil looks good and thick, I’ll have to pick some up. The one I have is a little too thin. I’ll definitely be mentioning the sweet pizza idea from now on in my pizza making classes! The foil is really good & strong and makes roasting a breeze. I noticed you were making lemon curd and this is definitely one way to enjoy it! This has reminded me at just how good sweet pizzas are. And the look of those grilled marshmallows has me rather desperate to try some of yours – right now! The marshmallows have tore tried Choclette!